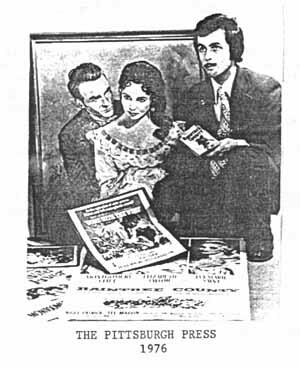 In February, 1958, I had just turned nine years old when my father, who liked Civil War stories, took me and my younger brother to see MGM's Raintree County at the State Theater on McKean Avenue in Charleroi, Pennsylvania. That evening, that motion picture made a lasting impression on me. Someone has said, "A film, if you like it, goes to your subconscious and that is the secret of the power of cinema's language. As a test, run the anthology reel, that's in your mind of the movies or bits of film that have touched you in some way, marked a mood or an occasion, opened a window with an insight, shown a new and exciting way of the world, introduced you to a meaningful personality, or in fact, to a facet of yourself hitherto unexplored. These are your personal classics, the films that endure. Try listing your private selection of top movies. It's an exercise in humility for the critic and that means every moviegoer." Indeed, the motion picture is the 20th century's most dramatic art form. The day following my experience with Raintree County, my family started south for baseball spring training. At the time, my father was a scout for the Dodgers. On the way to Florida, I remember seeing that magnificent artistic one-sheet poster, advertising Raintree County, prominently exhibited at theaters in many southern cities and towns we drove through. Being very young, at the time, I didn't fully understand what the film had planted in my subconscious, but I knew it was something meaningful. I had great empathy for the character of John Wickliff Shawnessy. Maybe Roger Fristoe, in a 1986 article for the Louisville Courier-Journal, summed it best when he said, "Its story and style were just the things to fire the imagination of a dreamy adolescent." The film made me think. I began to ponder the meanings of the words happiness, truth, loyalty, honor, and greatness. As the years passed, and I learned the techniques of research, I started to collect memorabilia from this motion picture. In fact, in 1975, I commissioned a painting of my favorite portrait still from Raintree County. That painting is impressive. In 1976, I visited Danville, Kentucky, where many of the principle outdoor scenes were shot. I spoke with Colonel Eben Henson, who was chiefly responsible for bringing the film to Danville. He spoke at length to me in front of the train depot that had been used in the film, and was later used for Eben's office for his outdoor Pioneer Playhouse. The film did not do well with the film critics, but I have found that Raintree County has a cult of admirers. The film appeals to "romantics" - people who, themselves, reflect on the meaning and purpose of life, against a background of swishing, floor-length taffeta skirts and the clank of the gleaming sabers of Yankee liberators, much like the character of John Shawnessy, who displayed warmth, love, and sensitivity. Such "romantics" are also sensitive and a bit melancholy. With John's love of literature and poetry, John Shawnessy settled for wisdom over glory and fame. I found that ennobling. His wisdom was tinged with an understanding of people. As a teacher, ("a molder of young minds"), I have sometimes used Raintree County as a subject of study in my classes. Student response has been good, and the youngsters have often found the film both inspiring and educational. In fact, when I show Raintree County, which usually takes a week of school, attendance is much improved. Perceptive students often catch the film's message of "man's quest for self-fulfillment, perhaps even greatness." Possibly the film's critical failure is attributable to its own theme - "reaching for the unattainable, the realization of dreams." 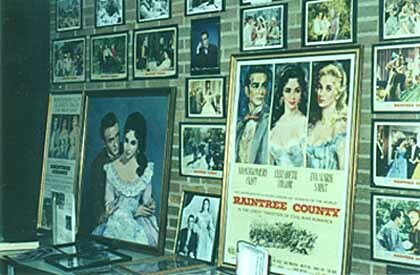 Raintree County's vision was "greatness." The picture was even heralded as the Northern epic to Gone With the Wind. Therefore, the motion picture would evoke disappointment because fulfillment is finding the Raintree. That is not an easy task. In all the years since I first viewed Raintree County, I am personally awed by the film's power to capture the imagination of a nine year old. The film's philosophical essence will remain with me always. To: "Return to Raintree County", Stephen Russell, Movie Collector's World #716, See page 16.